Kyrgyzstan Kyrgyzstan is a rugged Central Asian country along the Silk Road, the ancient trade route between China and the Mediterranean. 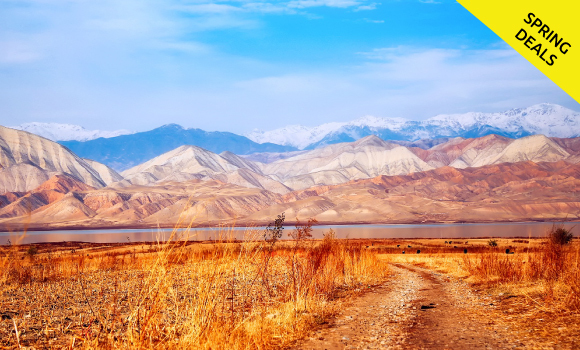 The Tian Shan mountains, which surround the old caravan route and dominate the country, are home to snow leopards, lynx and sheep. In the south, the millennia-old city of Osh has a huge, busy bazaar that was once a stop on the Silk Road. Bishkekthe capital of Kyrgyzstan, borders Central Asia's Tian Shan range. It’s a gateway to the Kyrgyz Ala-Too mountains and Ala Archa National Park, with glaciers and wildlife trails. The city’s arts scene encompasses the monumental State Museum of Fine Arts and the colonnaded Opera and Ballet Theater. The vast, central Ala-Too Square features the Manas monument, honoring the hero of the Kyrgyz Epic of Manas. •	Early morning at 04:40 arrival at Manas airport. •	Meet and transfer to Bishkek. Rest till welcome lunch. •	After lunch drive to Ala-Archa National Park. Walk in the gorge. •	Further transfer to complex “Hyde Park”. In the suburban complex "Hyde Park" you can spend amazing time. Everyone can see, meet and most importantly ride astride thoroughbred horses. •	Dinner at a restaurant within the complex. •	Breakfast at the hotel. 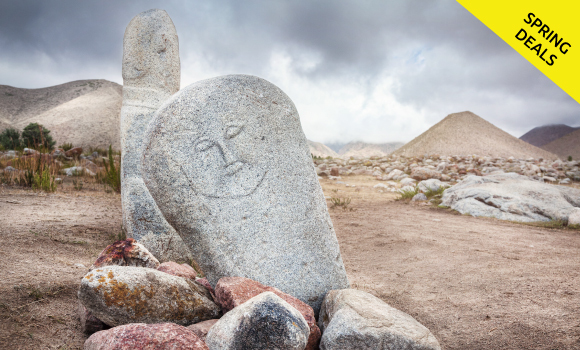 •	We will visit ancient ruins of Balasagyn city(9-12cent of BC), located on Great Silk Road and spend 1,5 hour walking around stone figurines named Balbal, climbing to Burana Tower. Tasty lunch will be prepared by local farmer. Later a short drive to Yssyk ata gorge. And there is a good opportunity, relax at warm thermal water. Return to Bishkek late afternoon along the mountain road. •	Enjoy your breakfast at hotel. •	Don't miss your chance to go for Issyk-Ata gorge, which is known from ancient written sources. In the 12-14 century, the gorge was the cradle of Buddhism in the region, so now you can see ancient image of the Buddha on the stone surface. If to walk up along Issyk Ata river you can see Mramorniy waterfall. Issyk Ata is also well known by hot hydrogen sulfide springs. •	Morning leave Bishkek for Issyk Ata (60km away), where we have a hike up along Issyk Ata river. Returning back to parking lot is possible to swim in the pool. Lunch will be served at open air near local farm. Return to Bishkek afternoon along the mountain road.